Donate today. Help us honor those who have fallen. 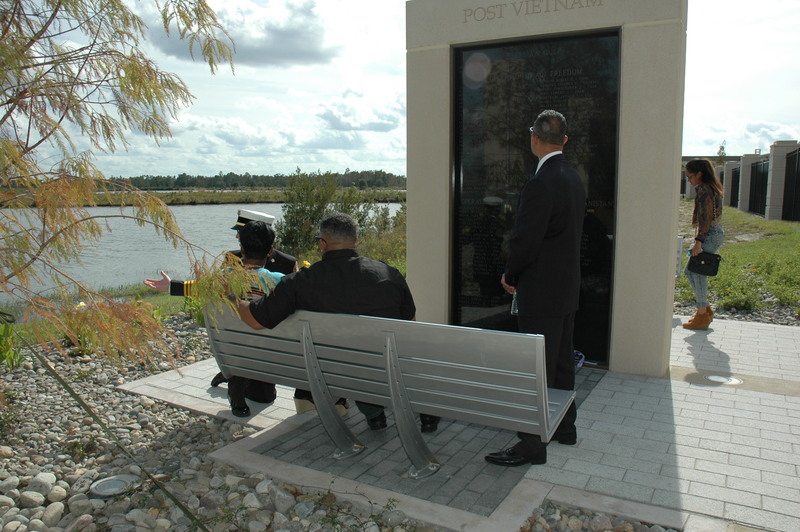 The Memorial is located adjacent to the new VA Medical Center (VAMC) overlooking a tranquil lake and a short walk to the campus chapel, nursing home and assisted living facility. It truly is a special place to both remember the names of Central Floridians who died while serving our country and to mourn our losses. This memorial is also a peaceful place for patients, families and friends to heal, pray, relax, reflect and connect with their loved ones. 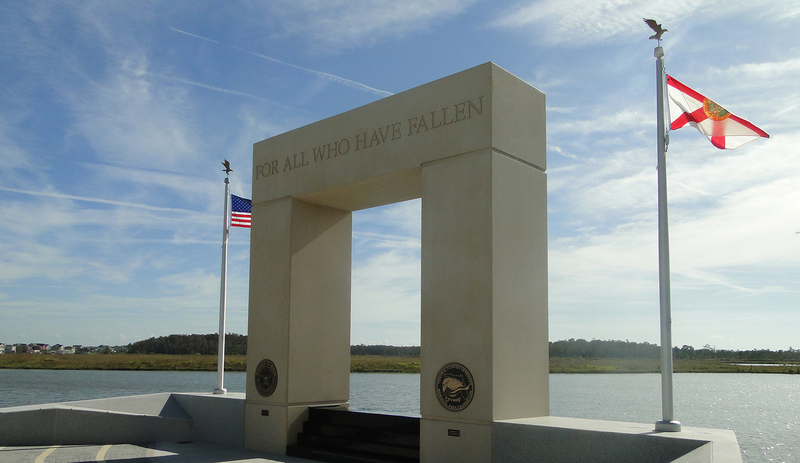 It honors approximately 1,100 veterans from Orange, Lake, Brevard, Osceola, Seminole, and Volusia counties who made the ultimate sacrifice and never returned. The six counties located in Central Florida are home to 400,000 veterans, and there are more former military personnel over 65 years of age living in our community than in any other place in the United States. Also there are more veterans that are over 50 percent disabled living in Central Florida than any other place in the United States . Central Florida is the No. 1 destination for combat veterans, and the VA Medical Center offers more services than any other military medical facility, especially for women, and attracts veterans from across the country. When Ron Lowry, Chairman, RLF (Rogers, Lovelock & Fritz), Architects in Winter Park, was commissioned to design the Veterans Hospital, the firm was given the charge to create an environment that is a place of healing and to be honoring to the patients that served our country. Today, the firm’s award winning design has won praise for not only meeting this objective but for creating a setting where architecture and the art of healing intersect. 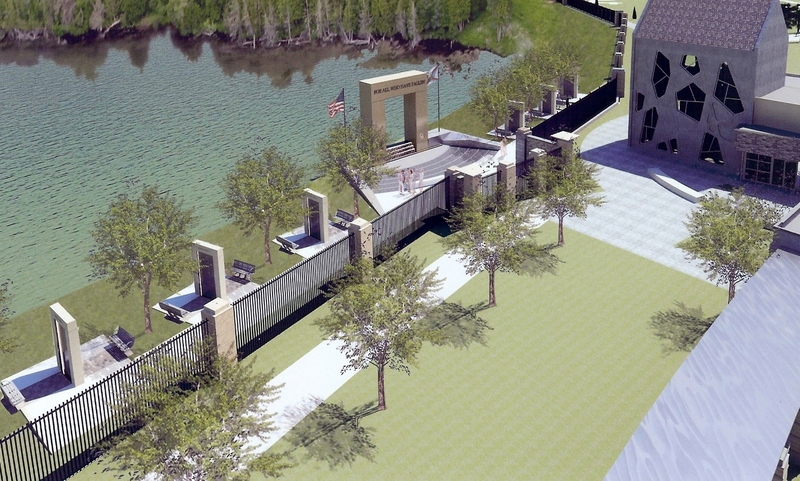 With its 65 acre site, nestled between waterways and protected habitats, it offers a natural healing environment and the ideal location for the Memorial Park itself. No other hospital in the U.S. has combined both elements – healthcare for the veterans themselves and a healing place for the family and friends of the fallen.